Loscam celebrates its 75th anniversary with the commencement of pallet rental operations in its 12th strategic Asia Pacific market. A night of celebration and cheers from over 100 guests and representatives from logistics associations, leading supply chain service providers, valued customers, media and LOSCAM’s management team sums up the mood during the official launch of LOSCAM Taiwan in Taipei on 26 April 2017. 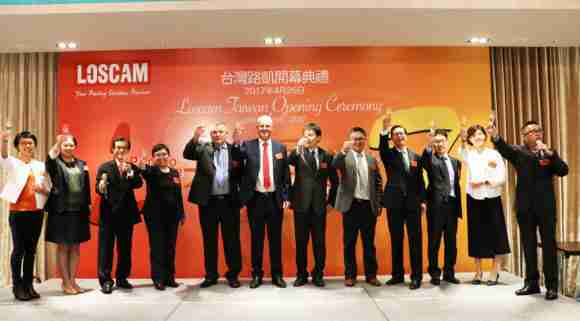 Taiwan represents LOSCAM’s 12th strategic market entry in the Asia Pacific region and coincides with the group’s 75th anniversary. With a head office situated in Taipei, the capital and commercial hub of economic activities including the logistics industry, LOSCAM targets to promote and drive its returnable packaging and pooling solutions to the larger national market eventually. Having inked partnership agreements with major supply chain and logistics organizations covering a wide spectrum of sectors, LOSCAM’s management is confident of fulfilling its strategic plans set forth for the Taiwan market. “LOSCAM’s strategy is to fine-tune our solutions to fit into Taiwan’s mature supply chain model and palletised distribution network. Our objective is to facilitate smooth, focused and comprehensive logistic services and to be a transitional platform that supports our customers seamlessly move into the international stage,” said Patrick Chan, Director, Regional Business Development of SE Asia & Taiwan, in his welcoming speech. 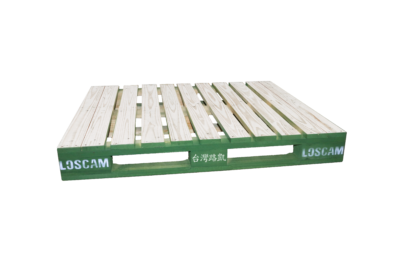 Loscam is introducing a 1200×1000 mm block pallet in Taiwan, shown below.